The farce that has been the NSW Greens over the last few years is finally spilling over, and I must say that it’s glorious. First, they turfed out the last of the “old Greens” Lee Rhiannon. Then they had, and then denied having, a rise in factions with so-called “watermelons” within a new faction known as Left Renewal with everyone else, including Greens leader Richard Di Natale, being lumped in as a Tree Tory – that is a liberal that loves trees. Now, former Greens star sinecure Jeremy Buckingham has called it quits after losing a preselection campaign – a loss attributed to allegations of “sexual misconduct” – and has thrown perhaps the greatest political hissy-fit since the August leadership spill. 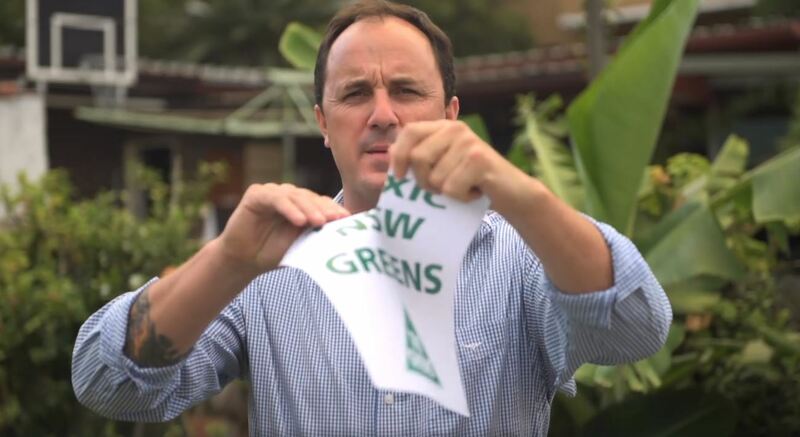 He’s announced that he will run for the New South Wales upper house as a “Real Independent Green” in a fiery press conference where he ripped up a placard reading “Toxic NSW Greens”. You will be sorely missed, Jeremy. By someone. I hope. Labor has never had such a great anti-Greens campaigner.